Schema.org takes care of all the structured data needs on your website. If you use it to markup products, reviews, events, and recipes, search engines like Google can pick up this data and present it in an enhanced way. If you want rich results like snippets, interactive mobile results, voice-activated actions or a listing in the knowledge graph, you need to mark up your pages with structured data. This ultimate guide is an overview of this wide-ranging topic. Structured data is the data you add to your website to make it easier for search engines to understand. You need a so-called vocabulary to make it work and the one used by the big search engines is called Schema.org. Schema.org provides a series of tags and properties to mark up your products, reviews, local business listings, job postings, etc in detail. The major search engines, Google, Bing, Yandex, and Yahoo, collectively developed this vocabulary to reach a shared language that allows them to gain a better understanding of websites. Our flagship SEO plugin Yoast SEO supports multiple Schema.orgs out of the box. Using the new block editor in WordPress? Then you can easily add structured data to your FAQ pages and how-to articles by way of our structured data content blocks. We’re working hard on extending our support for structured data. If implemented correctly, search engines can use the applied structured data to understand the contents of your page better. As a result, your site might be presented better in search results, for example in the form of rich results like rich snippets or rich cards. However, there are no guarantees you’ll get rich results — that’s up to the search engines. Marking up your products, reviews, events, job postings and more with structured data in the Schema.org vocabulary makes your site instantly comprehensible by search engines. This means that they can tell exactly what every part of your site is about. Search engines no longer have to guess that a product listing is a product listing, you can now say it is. Boost your chances of Google showing rich results of your site in the search results: learn how to add structured data with our training on structured data and SEO. Enhanced search results give searchers an easier way to pick a result from the list of links. If your listing is rich, and your page does what your listing promises, you are a valid result for the customer and that will lead to a lower bounce rate. A lower bounce rate tells Google that your site is a well-regarded result that promises and delivers. Also, since structured data is still picking up steam, you have a good chance of getting a head start on your competitors. Just think about it, if you have a barber shop and you markup your 300 five-star reviews, you are way ahead of your competitor who doesn’t mark up his reviews. Google picks up this data and shows it directly in the search results. If you were looking for a barber shop on Google, who would you pick? The one with no reviews or the one with 300 good ones? A Searchbox is where the internal search engine of a site is presented within the search results of Google. Google uses Schema.org code for this as well. 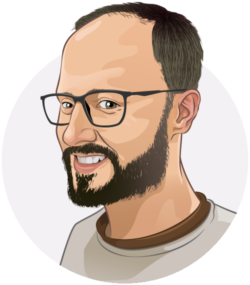 Yoast SEO has support for this built in, and there’s more info in our Knowledge Base. Rich results — we’re not supposed to call them rich snippets anymore, according to Google — are the extra pieces of information and interactive features shown on a search result page. 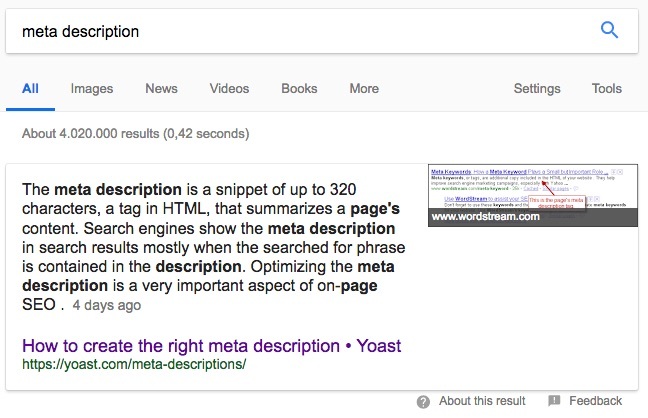 In addition to the regular black lines of meta description text, a search result can be enhanced with product information like prices or reviews, or extra navigational tools like breadcrumbs or site search. Rich results are even more prevalent on mobile. Search results for certain types of items, like local restaurants, recipes, movies, and courses, can get special treatment in the mobile results. These are presented in a touch-friendly, swipeable way also known as the carousel. Google is incredibly interested in getting you to do as much as you can within these results. So, you can book your flight tickets, reserve a spot in a popular restaurant, order movie tickets and send a tasty looking recipe for cheesecake straight to your Google Home so it can assist you while baking it. Almost everything powered by structured data. And this is only the beginning. The Knowledge Graph is the big block of information on the right-hand side in Google. This block details different bits of information about a particular search result. Google fills this graph by checking and evaluating related content about this specific subject. If you have a validated company or if you are an authority on a certain subject, you might see your name, logo and social media profiles appear. OK, so this might be a sneaky addition because featured snippets are rich results, but they do not get their content from structured data. A featured snippet answers a search question directly in the search results, but uses regular content from a web page to do so. Yes, the results of implementing structured data work everywhere. Mobile implementation of Schema.org data is in its infancy, although Google has been pushing mobile rich search results for a while now. If a page meets the criteria set by Google, you can now book movie tickets or reserve a table at a restaurant directly from the search results. If you implement structured data correctly, you could also be eligible for several interactive extras in the mobile search results pages. In addition, if you add AMP to the equation you can get even more Google approved interactive goodies on mobile. If you look at the Schema.org website, you’ll notice that there is a lot of information you could add to your site as structured data. Not everything is relevant, though. Before you start implementing structured data, you need to know what you should markup. Do you have a product in an online store? Do you own a restaurant? Or do you have a local business providing services to the community? Or a site with your favorite cheesecake recipes? Whichever it is, you need to know what you want to do and explore the possibilities. Don’t forget to check the documentation by search engines to understand what they need from you. The first major group is Creative Work and it encompasses the widest group of creative works — things that have been produced by someone or something. You’ll find the most common ones below, but the list is much longer. You’ll also find properties for sculptures, games, conversations, software applications, visual artworks and much more. However, most of these properties don’t have a rich presentation attached to them in search engine results, so they are less valuable. But, as mentioned earlier, if your site has items in the categories below, be sure to mark them up with Schema.org. An article could be a news item or part of an investigative report. You can distinguish between a news article, a tech article or even a blog post. A book is a book, be it in a paper form or in digital form as an eBook. You can markup every type of property, from the author who wrote it to any awards it has won. Soon, anyone offering courses can use the new Schema.org. At the moment, Google is holding small-scale tests with selected participants to see how this Schema.org performs. Google understands structured data for datasets and can use this to help surface and understand these datasets better. Find out more on Google’s developer pages. In the near future, you’ll be able to markup your how-to articles with HowTo structured data. In the new WordPress block editor, you’ll find our new structured data, including one for how-to’s. By following a step-by-step process, users can get a specific task done. At the moment, there’s no rich result attached to this. Music also gets the structured data treatment. There are a couple of Schema.orgs of interest for music, like MusicRecording, MusicAlbum, MusicEvent and MusicGroup. Question and answer pages are eligble for rich results as well. According to Google, Q&A pages are different to FAQ pages where you can find multiple questions and answers on a page. More in Google’s Q&A page documentation. 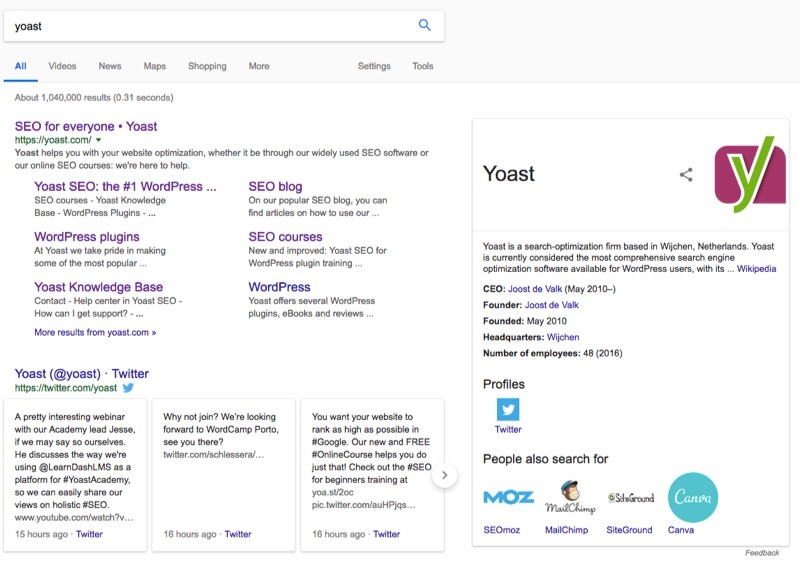 Use the Yoast SEO structured data content blocks to provide structured data for your FAQ pages. By adding Recipe data to the recipes on your cooking website, you can get your recipes featured directly in search results. What’s more, with the advent of mobile rich results, recipes might even be presented in a stunning new way on mobile featuring great images — if you add them. And that’s not all, because you can now send your recipes to Google Home and get Assistant to speak it out loud for you. How cool is that? Google is currently testing the implementation of speakable Schema.org. With this code, you can tell a search engine that a piece of content is especially written to be spoken out loud by digital assistants like Alexa, Siri, Cortana or Google Assistant. This is going to be an essential part of your voice search strategy in the near future. Movies and TV shows get their own piece of structured data as well. Searching for a movie in search engines will yield a rich result with reviews, poster art, cast information and even the ability to directly order tickets for a showing. You can even mark up lists of the best movies ever made or your favorite TV shows. What’s more, get your visitors to watch the content directly by adding ViewAction or Watch Action structured data. It’s possible to do all kinds of interesting things with video. Google, in particular, is working on new ways to display videos in the search results, with AMP for instance. Google can use your videos in AMP carousels and Top Stories listings. Have a podcast? Why not mark up your podcast with structured data so Google can do cool stuff with it, like showing each episodes description and even adding a play button as well. The second major group is Commerce. In this group, you’ll find several important types to mark up with Schema.org. Marking up your event listings with the correct Event Schema.org, might lead to search engines showing your events directly in the search results. This is a must have if you own a nightclub, a venue or any type of business that regularly puts on events. If you make money with your website, chances are you own a business. If you’re a site owner or just work on a company site, you’ll find the business and organization Schema.orgs interesting. Almost every site can benefit from the correct business Schema.org. If you do it well, you could get a nice Knowledge Graph or another type of rich listing in the search engines. You can even add special structured data for your contact details so customers can contact you directly from the search results. Have job postings on your site? Mark them up with the job postings structured data to have them show up nicely in Google. We use this on all our Yoast job postings as well. The Schema.org for products is almost as important as the one for businesses and organizations. Using Product Schema.org you can give your products the extra data search engines need to give you rich snippets, for example. Think about all the search results you see with added information, like pricing, reviews, availability, etc. If you have products, this should be a major part of your structured data strategy. Don’t forget to mark up your product images. Reviews and ratings play an important role in today’s search process. Businesses, service providers and online stores all use reviews to attract more customers and show how trustworthy their offer is. Getting those five stars in search engines might be the missing link to creating a truly successful business. Voice assistants are all the rage and we will see a lot happen in this space in the coming months. Take recipes for instance; you can send a recipe from the search results — powered by structured data and AMP — to your Google Home to be read aloud while you are cooking. These are called Actions and there are a whole bunch of them. If you want your recipes to appear in the Google Assistant library you need to add a specific set of structured data and adhere to additional rules. You can find more on that on the Creating a recipe action page. 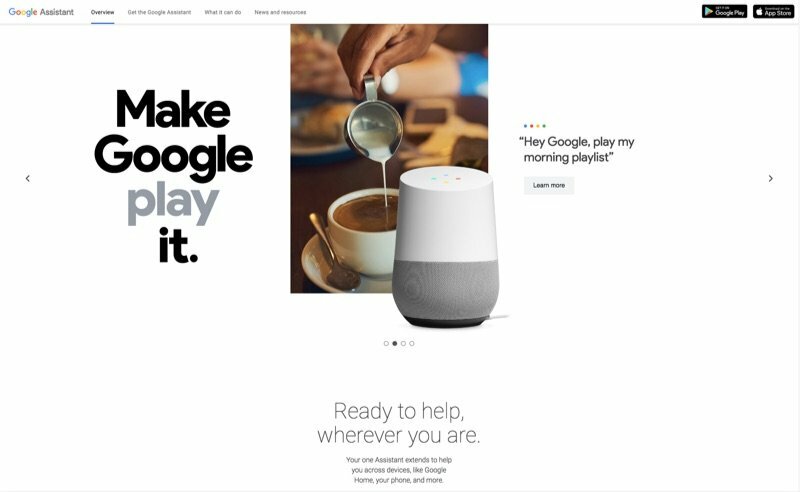 Visit Google’s Assistant site to get a feel for what’s possible (a lot!). To get started with marking up your pages, you need to understand how Schema.org actually works. If you look closely at the full specs on Schema.org, you’ll see there’s a strict hierarchy in the vocabulary. Everything is connected, just like everything is connected on your pages. Scroll through the list to see all the options at a glance and note down the ones you think you need. If you need to check how your structured data is performing in Google, check your Search Console. Find the Structured Data tab under Search Appearance and you’ll see all the pages that have structured data, plus an overview of pages that give errors, if any. You can also find more insights into Rich Cards. Read this post for more info. For example, a movie is a “Thing” and a “Creative Work”, which falls under the category “Movie”. You can add a lot of properties to this, like a “Description”, a “Director”, an “Actor”, a poster “Image”, “Duration” or “Genre”. There are loads of properties to add, so you can get as specific as you want. However, don’t go overboard, since not every property is used by search engines – at least not yet anyway. What you should do, is look at the specifications in Google’s documentation, for instance, to see which properties are required and which are recommended. Sticking to the local business example, you’ll see that Google lists several required properties, like the NAP (Name and Phone) details of your business. There are also loads of recommended properties, like a URL, geo-coordinates, opening hours, etc. Try to fill out as much of these as you can, because only then will search engines give you the full presentation you’re looking for. If you need help with your local business markup, you’ll find our Local SEO plugin very helpful. Looking at Schema.org for the first time might feel a bit daunting. The list is enormous and the possibilities are endless, so it’s easy to become overwhelmed. To get over this, you need to go back to basics. Think about what your site, business or product is about and write down the specifications and properties you feel are important, then work your way up from there. Having said that, there are a couple of sections you should prioritize in your plan to add structured data to your site. If you start off with these three, you’ll have the basics covered and then you can build on that. You should absolutely start with structured data for your business details, products, and reviews. These will have the biggest effect in the short term. JSON-LD is the preferred method of adding structured data to your site. However, not all search engines have been quick to adopt it — Bing being the last hold-out. Thankfully, Microsoft came round in August 2018 and now supports this, which is the most efficient method. For Yoast SEO 11.0 we’ve completely rewritten our Schema.org implementation. 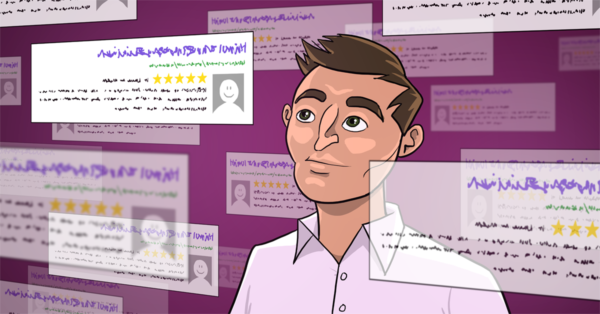 Yoast SEO now creates a structured data graph for every page on your site, interconnecting the different pieces of schema markup on a page. While working on this, we’ve also created complete and detailed documentation on Schema, including a specification for integrating structured data. Here you’ll also find some example graphs for various kind of common pages on your site. If you want to learn more about working with all this on your site, you should read Michiel’s article on how to use JSON-LD to add Schema.org data to your website, Annelieke’s article on adding structured data to your site with Google Tag Manager or learn how to add structured data with our training on structured data and SEO. The classic way of writing structured data for inclusion on your pages involves directly embedding it into your HTML. This made a really inefficient and error-prone process and is much of the reason why the uptake of Schema.org hasn’t been particularly fast. Writing and maintaining it via RFDa or Microdata is a pain. Believe us, try to do as much as you can in JSON-LD. Microdata needs itemprops to function, so everything has to be inline coded. You can instantly see how that makes it hard to read, write and edit. The open source AMP project (Accelerated Mobile Pages) has been causing quite a stir. The project’s goal is to get pages to load lightning fast on mobile using a special kind of HTML. Google is pushing AMP pretty hard and also mentions its reliance on structured data. If you want to use AMP you need to add structured data. Google uses several Schema.org items to take care of the more interactive parts of AMP elements. You can use Yoast SEO combined with our AMP Glue plugin to take care of most AMP needs. Schema.org is not too hard to work with, but if adding code by hand seems scary, you could try some of the tools listed below. If you are still not sure how to go about this, ask your web developer for help. They will probably fix this for you in a couple of minutes. Most search engines have their own developer center where you can find more information on the inner workings of their structured data implementations. Read these to see what works and what doesn’t. You should stick to their rules, because a bad Schema.org implementation could lead to a penalty. Always check your code in the structured data test tool to see if it’s correct. Fix errors and regularly maintain the code on your site to see if it is still up to scratch. You can’t run away from structured data anymore. If your site means anything to you, you should look into it and figure out the best way to make use of Schema.org. Implemented correctly, it can do great things for your site, now and in the future. Search engines are constantly developing new ways to present search results and more often than not they use Schema.org data to do it. Thanks for sharing such an informative article, it will really help all the beginners. It’s not difficult to add structured data to your site, JSON-LD is the easiest method of adding structured data to your site. Let’s say, I have a company that offers rental apartments to tourists. Each apartment is individual and marked with structured data as “LodgingBusiness”. Now, each apartment has its own title, images, description, e.g., and will be alert to search engines via structured data as a stand-alone lodging business. How can I link them to the organization that is representing/marketing all of them – my company? Changing the value of the structure data name tag from an apartments’ title to the companies name wont work, because I use reviews at the same time on each apartment page. This approach would lead to having many sites with structured data, showing always my business name but with different rating/evaluations, images, descriptions, e.g. which would confuse search engines. Is it okay to implement various structured data within one page? Great article. Personal having an architecture portfolio I’m using the very (very very) generic Creative Work markup. But still keeping an eye on and hoping for a more specific development of this still so generic markup. But they (@ schema) all seems to focus on recipes, books, video. Really great explanations easily to be understood even by me ;-). Thank you for that!! This is amazing for regular readers and very beneficial for SEO learners. The code is able to work on the WordPress site. I agree with you on this, Including schema micro data in your HTML code can help search engine crawlers interpret the content of your pages more effectively. I want to say something about canonical tags or url. can you deeply brief me about. Like i have a site and i want to publish my client sites post on my own site. The content already published on my client site and using canonical url in yoast seo plugin. is it safe for my site?